Although racially restricted housing covenants had been banned by the U.S. Supreme Court in 1948, various forms of de facto housing segregation kept African Americans relatively isolated spatially in urban areas, including the city of Seattle. Many white homeowners in the years following the Court’s decision were apprehensive about letting black families into their communities for fear that it would lead to the deterioration of the neighborhood. In 1960, King County Superior Judge James W. Hodson ruled that private property owners had the right to choose who to sell to, effectively granting permission to realtors and homeowners to discriminate based on race. Local civil rights leaders created the open housing movement in Seattle to challenge the type of thinking that was behind the 1960 county court decision. They advocated open housing which argued that people with resources should be able to purchase a home in any section of the city. They called for legislation which would make it illegal for individuals to discriminate against someone when selling property. Proponents of open housing were opposed to the isolation of black families in the Central District (the city’s African American area) where higher poverty rates and poor schools plagued the community. Local civil rights groups used various tactics to promote open housing, including a fair housing program known as Operation Equity, a program that would encourage black home purchases throughout the city and in its suburbs. In 1967, the Seattle Urban League received a $138,000 grant from the Ford Foundation to expand Operation Equity. The program helped arrange the sale of property in white neighborhoods to black families. With help from the grant, Operation Equity was able to place an average of ten families per month in formerly all-white neighborhoods. 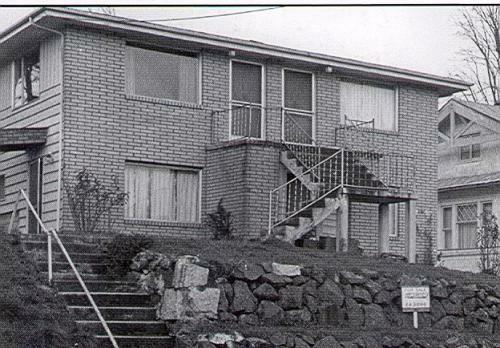 Despite some opposition from the black power movement and from conservative white home owners, open housing was eventually welcomed by blacks and whites in Seattle. On April 19, 1968, after two decades of civil rights activists fighting de facto residential segregation, the city council finally passed an open housing ordinance. Operation Equity was an important program in facilitating that transformation in Seattle.